When it comes to pests in the home, there is probably no foe better known than the house mouse. Mice infest homes across the nation, taking advantage of better food sources and a sheltered home. Often, a mouse infestation occurs before you even realize there was a single mouse in your house. While you are likely familiar with these small rodents, there is more to mice than you might know. Below, we have compiled important information every homeowner should know about mice, identifying an infestation, and more. As your local Sacramento home pest control team, we are here to help you educate yourself about the pests that invade your home and find solutions for ridding your abode of these harmful guests. Read on to learn everything you need to know about the mice that invade our homes. The common mouse that finds its way into our homes is actually a descendant of mice from Central Asia. Mice were brought to North America on ships when settlers came across the sea from distant locations. Due to their ability to adapt to almost any scenario, they quickly grew in population and discovered the ease of living around humans. They can still survive in open fields, but, due to the comfort of living in human’s homes, they prefer to take up residence indoors. Here, mice will build small nests out of finely shredded fibrous materials, such as paper or cardboard, and will feast upon whatever food is readily available. They Love Your Food: While mice prefer a grain-based diet, they are willing to nibble on almost anything in your pantry. One of the biggest attractants of mice in your home is food that is left out. Even unprotected pet food can serve as an excellent meal for mice. They Have Few Mobility Limits: Mice are capable of scurrying around without many limitations. They can climb up almost any rough vertical surface and can jump up to 12 inches from one flat surface to another. They are acrobatic in their ability to run across even thin platforms such as ropes and cables. 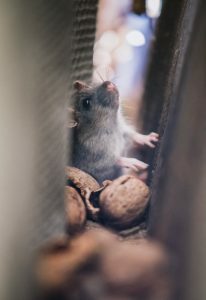 They Squeeze Through Shockingly Small Spaces: Mice are not only tiny in size, they are capable of squishing and squeezing through holes approximately ¼ of an inch in diameter. This means they are masters at finding their way into homes through seemingly impenetrable places. A house mouse is a tiny rodent, much smaller in size than rats or even common pet rodents such as hamsters. A house mouse is approximately ½ an ounce in weight and only around 7 inches in length, tail included. One of the most notable traits on a mouse is their large ears. Mice have tiny eyes, black in coloring, and their bodies are a light brown or gray. Another mouse that is less likely to invade your home, but can still be found in outbuildings or more remote locations, is the deer mouse. This mouse features a darker, grey coat and a white underside. It is also different from the house mouse in that it has much larger eyes and more fur on its tail. It is less likely that you will encounter deer mice, but if you do, you should practice caution as they can carry the Sin Nobre virus, responsible for hantavirus pulmonary syndrome (HPS). The good news is that your common house mouse does not carry this virus. Most of the time, you won’t see mice during the daytime hours. They are nocturnal by nature and shy around humans. Usually, you will realize mice are in your home due to the presence of droppings in your home and the tell-tale signs of gnaw marks on food packages. If you notice that mice have accessed your food supply, practice caution, as the food will be contaminated and should be disposed of immediately. The presence of mice in your home can also irritate allergies, leading to breathing problems and other symptoms in those who are sensitive to their musk and droppings. Not only will mice who infest your home contaminate your food, they will also cause destruction to your home’s structure. They will chew through walls, wiring, and other important components of your home as they explore and build nests. While the common house mouse does not carry the Sin Nobre virus, they do transmit other diseases-inducing pathogens, including salmonellosis. Most mice will live around nine months to a year. During this short lifespan, they are capable of reproducing at a rapid rate. As soon as they are six to 10 weeks old, they can start reproducing. Babies are born around 20 days after conception, and a female mouse can have as many as 10 litters annually. Each litter will contain around six young. With such a fast reproduction cycle, it is easy to see why a couple of mice in your house can quickly turn into hundreds. 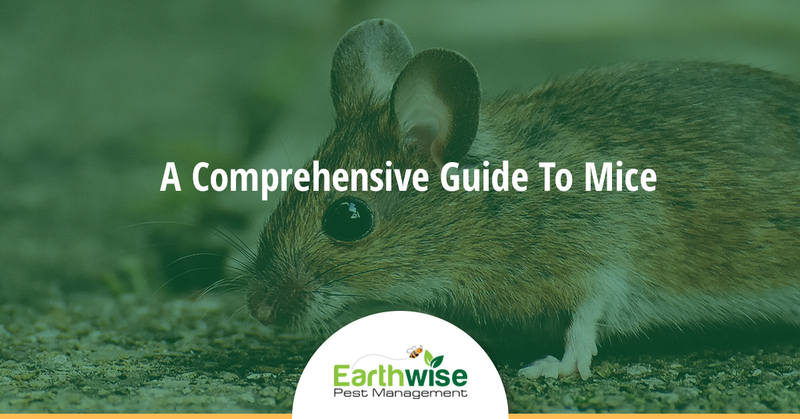 If you find yourself in the unfortunate situation of mice infesting your home, please reach out to our team at Earthwise Pest Management for assistance. As local Sacramento home pest control specialists, we can work with you to find the appropriate solution.